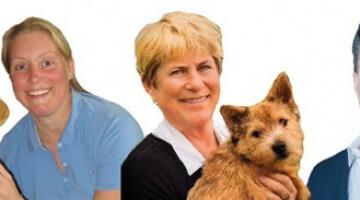 American physical therapist and Master Yoga teacher Lara Heimann will join veterinary experts from around the world on the speaker panel of VET Festival 2019. 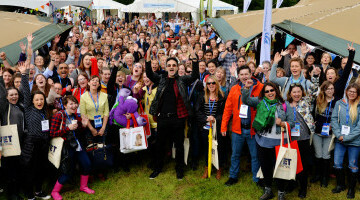 The two-day event, now in its fifth year, aims to combine inspiring, world-class CPD for the whole practice team with an outdoor ‘festival’ atmosphere. On Friday 8th and Saturday 9th June, VET Festival, in partnership with Centaur Services, welcomed a record number of over 1700 delegates. The two-day outdoor conference truly lived up to its name as it provided unparalleled inspiration and education of the highest possible standard. 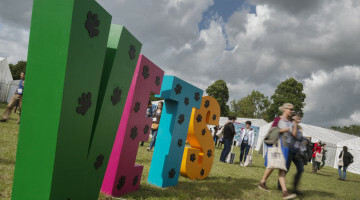 VET Festival, in partnership with Centaur Services, is proud to have sustainability at the heart of the event. This year organisers Fitz All Media have backed a number of environmentally conscious initiatives and are proud to be supporting the Learning Without Landfill campaign and will sign their pledge at the event. Renowned for their musical mashups and unique arrangements, Madhen are set to headline the evening. VETFest™ Live Party Night is back for another year and is a cause for celebration for all, with live music, street food and drinks in an ultimate festival experience. This year at VET Festival we are thrilled to introduce the VETFest Conversation, with television and radio presenter Jonathan Ross OBE. Moving away from the traditional conference keynote format, the VETFest Conversation will be a relaxed discussion between Jonathan and founder of the event, Professor Noel Fitzpatrick. 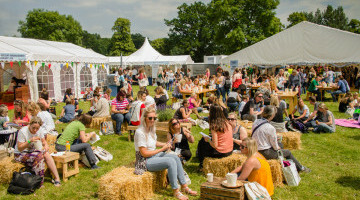 All-inclusive and stress-free exhibitor package is available, comprising a ready built marquee, furniture, electrics and delegate tickets all included in a one-off fee. 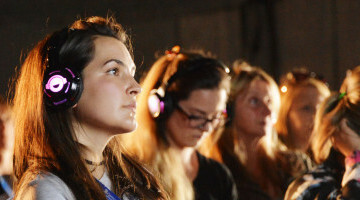 Reflecting on careers as well as personal development through wellness. 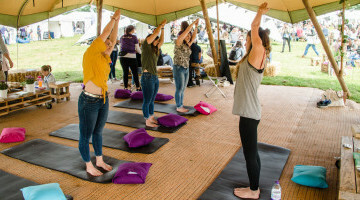 Delegates at VET Festival 2018, in partnership with Centaur Services, will be encouraged to reflect on their career as well as personal development through a series of content centring on wellness. 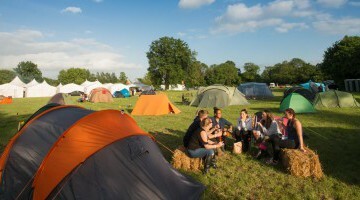 Camping and glamping offered at VET Festival 2018. 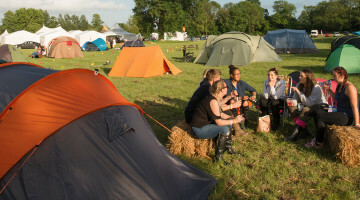 Delegates at VET Festival 2018, in partnership with Centaur Services, will be able to relax and recharge in the idyllic Surrey countryside, as camping and glamping accommodation will be offered onsite at the outdoor conference in Loseley Park, Surrey on Friday 8th and Saturday 9th June. 91% of respondents said that they were proud to work in the veterinary profession. At a time when the recruitment and retention of veterinary professionals is increasingly challenging in the UK, a recent survey by VET Festival, in partnership with Centaur Services, has revealed that there is however still great pride amongst the veterinary profession. The dedicated Nursing stream at VET Festival 2018 covers both days of the conference and assures an extensive scope of subject areas as well as exclusive access to pioneering opinion leaders who are not usually found on the speaker circuit. 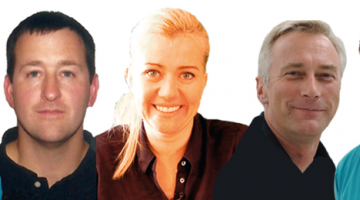 Driving passion and innovation forward in the veterinary industry. Centaur Services is joining forces once again with VET Festival as it has been announced that they are the official Headline Partner for the 2018 event, and will work with the team to deliver the unique outdoor conference on Friday 8th and Saturday 9th June 2018. Rehabilitation stream to cover both days of this year's VET Festival. 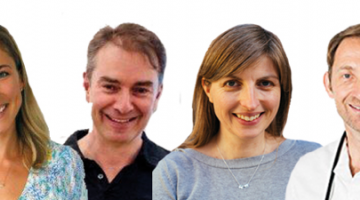 In response to continued delegate feedback, the dedicated Rehabilitation stream now covers both days of the conference on Friday 8th and Saturday 9th June, assuring huge diversity and stronger interaction in sessions delivered by three world thought-leaders in their field. VET Festival, in partnership with Centaur Services, has announced its 2018 conference programme comprising over 120 lectures, brand new subject areas and featuring over 30 pioneering, internationally renowned speakers. 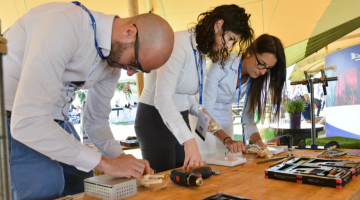 One of the most anticipated events in the veterinary CPD calendar, VET Festival, will return to the field at Loseley Park in Surrey on Friday 8th and Saturday 9th June 2018 to continue its mission to break the mould for the delivery of veterinary education. VET Festival, in partnership with Centaur Services, received the award for ‘Best Conference by a Small Company’ at the Conference Awards 2017, in recognition of the innovative and dynamic learning environment and practically relevant CPD programme. 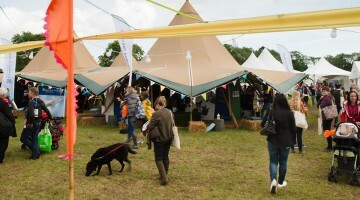 Vet Festival 2017 celebrates record year! 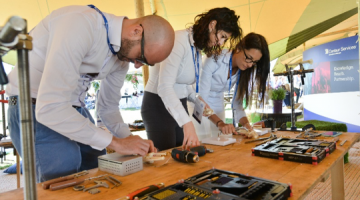 On Friday 9th and Saturday 10th June, VET Festival, in partnership with Centaur Services, returned for its third year delivering ‘Veterinary Education for Tomorrow’ to a record number of over 1400 delegates. The tents, benches and bunting, along with the buskers all gave it a lovely relaxed vibe and the perfect way to be in the right state of mind for learning. It is certainly the most enjoyable, informative and memorable CPD I have ever done and I will definitely be back next year.